Coventry saw their play-off collapse continue as they were stunned 3-1 by Peterborough live on Sky Sports. 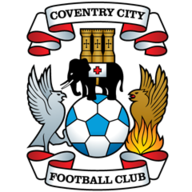 The Sky Blues failed to take a host of golden opportunities while dominating the first half before falling to a fifth defeat in seven games. 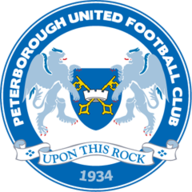 Goalkeeper Ben Alnwick denied Joe Cole, Jacob Murphy and Sam Ricketts before Posh hit the front in the final minute of the opening period as captain Michael Bostwick headed in Marcus Maddison's corner. And the hosts remained on top following a flurry of three goals in eight minutes just after the hour to claim their first home league win of 2016. Substitute Lee Angol doubled their advantage with his first goal for four months only five minutes after he had arrived from the bench. Coventry responded as Murphy slammed against an upright before racing the length of the field to lay on a simple finish for Joe Cole. But the wind was quickly knocked out of their sails when Harry Beautyman was in the right place at the right time to seal the points for Posh after a Shaq Coulthirst shot had been blocked.